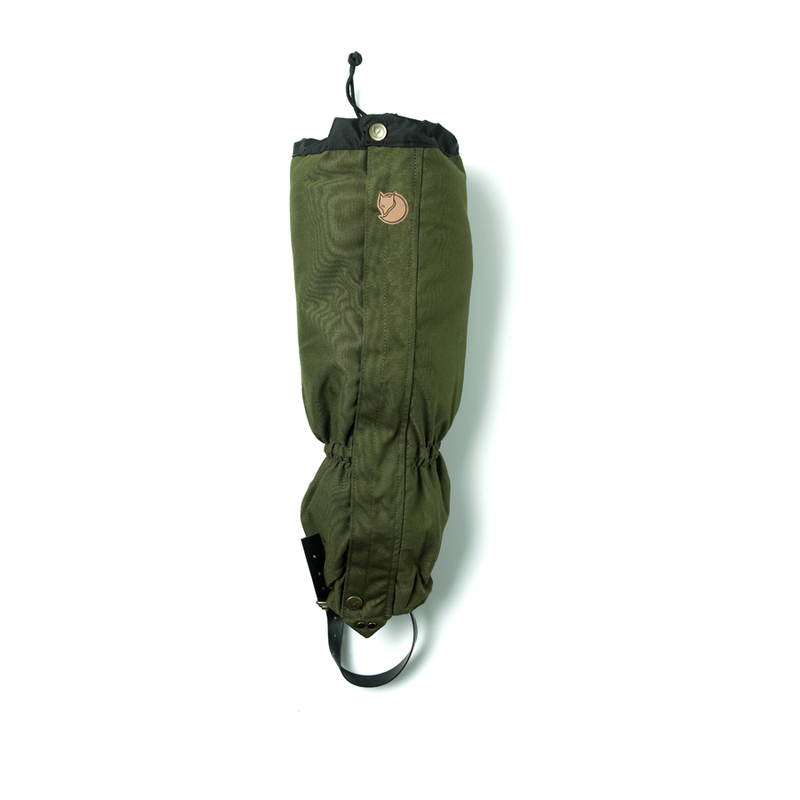 Gaiters that prevent snow and moisture from forcing their way under and up the trouser leg. Made from very durable PU-treated polyester fabric. Zipper protected by flap with velcro closures. Elastic adjustments up to and covering the ankle. Buckled strap that wraps under the foot and the front, top section has a hook that can be attached to the shoelaces.